PES 2010 focuses on enhancing the excitement of matches between players, making for a truly challenging experience that will constantly test the player. Intuitive zonal defending will cover spaces and players need to look constantly for new ways to attack. 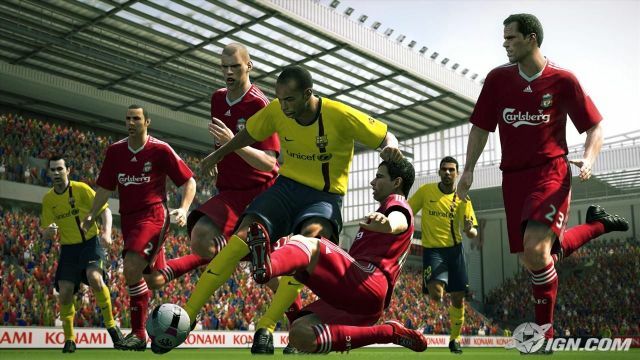 PES 2010 focuses on being a real football simulation, as it requires both strategic play and quick reactions, as in real life. In addition to key out-field elements, goalkeepers are more versatile and with abilities matching those of modern shot-stoppers. The gameÆs referees have also been reworked, with smarter AI elements allowing them to make more balanced calls during matches. 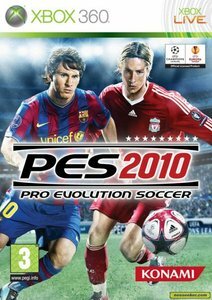 * Gameplay: PES 2010 focuses on enhancing the excitement of matches between players, making for a truly challenging experience that will constantly test the player. Intuitive zonal defending will cover spaces and players need to look constantly for new ways to attack. 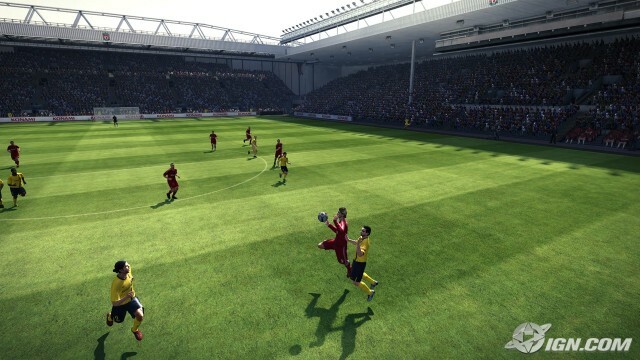 PES 2010 focuses on being a real football simulation, as it requires both strategic play and quick reactions, as in real life. * Improved Visuals: PES 2010 has undergone a major visual revamp, with its celebrated player likenesses and animations now even closer to those of real-life players — including live player expressions to be depicted with an improved lighting system which differentiates between various conditions! * All-new animation and moves: Animations now dovetail into each other seamlessly, with dribbling and shots on goals worked into dribbling animations. More individual skills are also on show, including new flicks and tricks that have a definite showing on the way a game flows. * Enhanced Master League: Master League has been thoroughly renewed with the enhancement of managerial aspects, which enables users to enjoy managing a team for a longer career lifespan. Seen by many as a key contributor to the series’ success, the Master League elements in PES 2010 have been bolstered by far-ranging and vital new additions, dedicated to enriching the mode. Further details will be announced shortly. * AI: The Tokyo team has worked to improve the AI of the game, with Teamvision 2.0 implemented. Midfielders and defenders now work together to cover open space and close down attacks, meaning that cover can be provided for lower-ranked defenders. This also has the additional effect of removing soft goals, thus returning PES 2010 to its simulation roots. * Individual Play Characteristics: In previous PES games, the team formation has determined the movements of the players. PES 2010 introduces a new system wherein the individual attacking and defending nature of the players is integral to the way they play. Each player enjoys unique AI tied into their best abilities, and is reflected in the actions of their team mates. * Strategy Use: A new power gauge system allows users to balance their strategy in a quick, but wide-ranging way before a match. Every element — pass frequency, movement, the line of defense, width of play, or the position of the front line — can be altered to match those of a favored club. These formulations can be altered at any point, too, with Home and Away matches forcing different circumstances on the user.